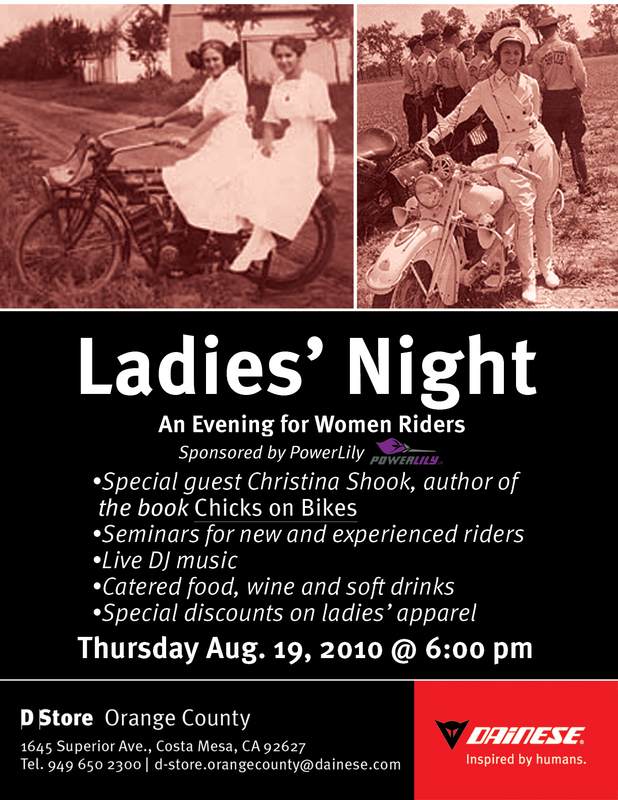 I had to reschedule the date for the Chicks on Bikes ride and party after. It is now set for Sept. 27th. 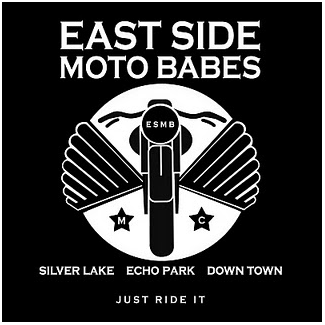 The ride starts at 12:30 and ends at Benders Bar in the mission at 3pm. 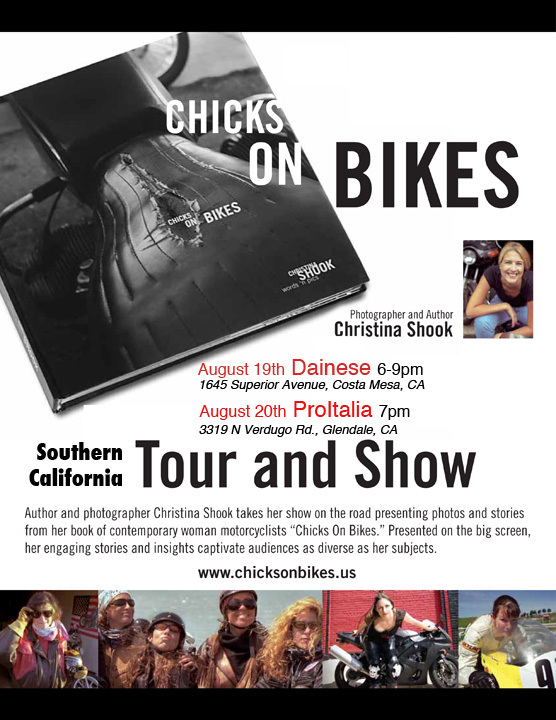 I’m now calling it the Chicks On Bikes 100 Women Ride. Surely we can get 100 women on bikes out there. Its a deep and powerful feeling revving engines with big pack of girls. Its truly a Hear Me Roar feeling. 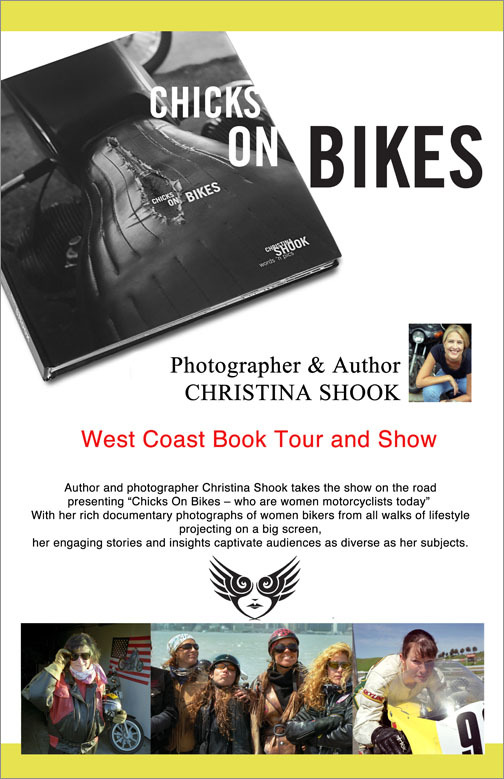 Chicks On Bikes – 100 women ride. 12:30 Be at Ocean Beach on the Great Highway where Fulton ends – ready to ride. I just hung a show of my work there that will be up all month. Stop on by and check it out. And have a bloody mary there if you’re ready for lunch. Just so you know, its not mine. I sat at my book table today and talked and talked till my throat was dry as a old rattler shed snake skin in this Colorado dehydrated air. 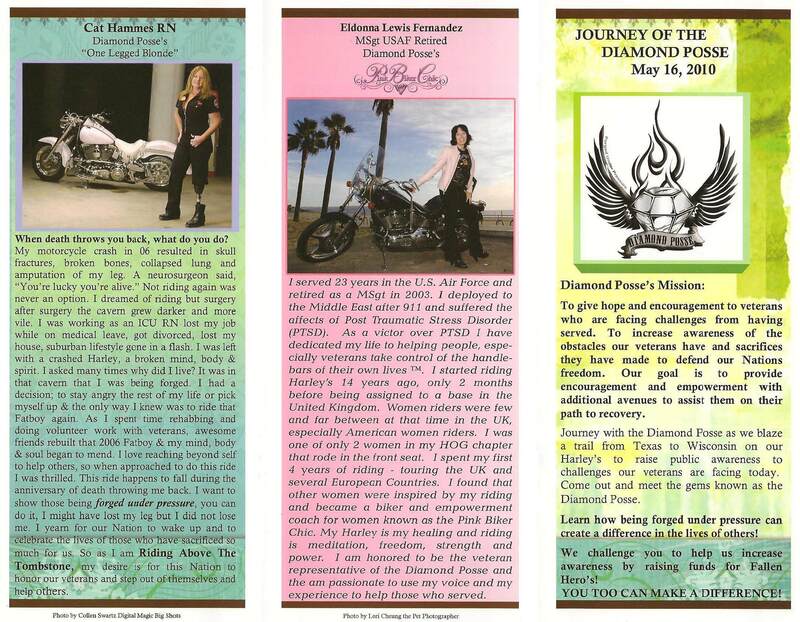 And the parade of women was a non stop pleasure of meeting wonderful kindred spirits of bikers and adventurers. Here’s some of my fav’s that I managed to get photos of. Check out the most sparkle-icious women I found: Diva Amy Skaling who makes rhinestone studded accessories. Leslie Prevish who I’d blogged earlier that I wanted to meet – the brilliant marketing director at Harley Davison. She was as smart, personable and dedicated as I’d imagined she would be. She’s here with Willie G. Davidson’s (Yep as in Harley Davidson) grandaughter Karen Davidson. I caught Genevieve Schmitt riding up on her bike. Also on my list of must meets. 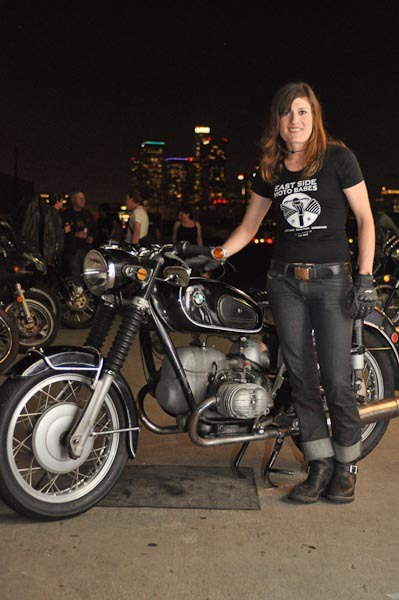 A busy lady who know pretty much everything that’s going on in the world of women motorcyclists. She is the editor or Women Riders Now. And here’s just a crazy machine I had to take a picture of. I think its a backward trike.